July 12th marked my one month in Italy. The day came with little fanfare going about our new normal routine. Il Ragazzo (a.k.a: “The Boy”) went to work, I ran, then had my morning cappuccino at a nearby cafe. 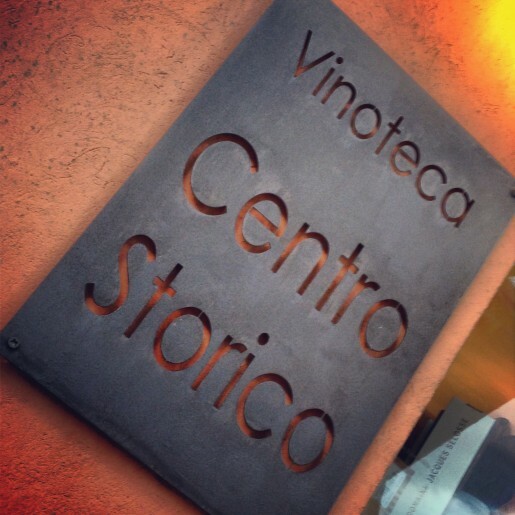 We decided to splurge on a toast and dinner at Vinoteca Centro Storico in Serralunga d’Alba. 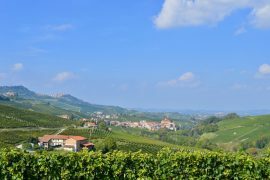 The location has become something of an institution in the Barolo winemaking area. You’ll find Centro Storico 10 km (6 miles) from the primary wine town of Alba. Friday night is always hopping at Centro Storico. And, in recent years, it is quite busy most nights of the week. Why there? It’s where we met in September 2012. The itsy bitsy eatery is family-run, led by Alessio at the front of the house and his wife Stefania and her mom in the kitchen. Honestly, you haven’t lived unit you’ve tasted their potatoes. 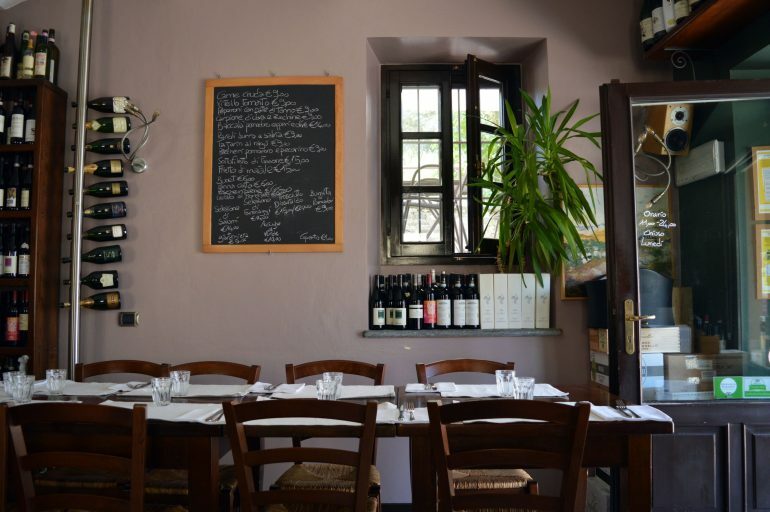 Vinoteca Centro Storico in Serralunga offers about three antipasti, three primi, and three secondi each day, primarily traditional fare (think tajarin, plin, fassone beef) and desserts. The food is incredible. And, the wine list is spectacular. Try it! 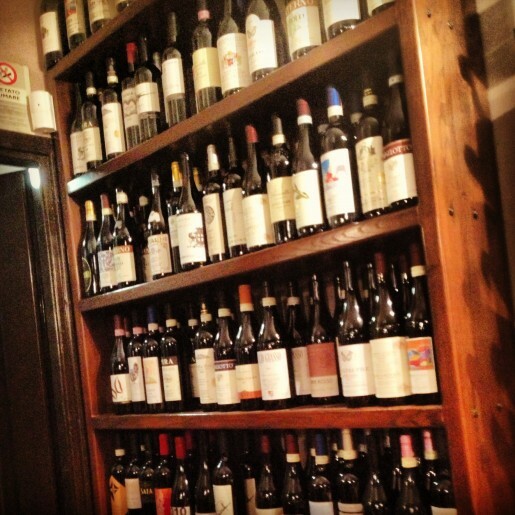 Vinoteca Centro Storico Serralunga offers the area’s best selection of bubbles and a rockstar wine list. Alessio sabers bottles of bubbles with the bottom of a wine glass (click here for a video)! 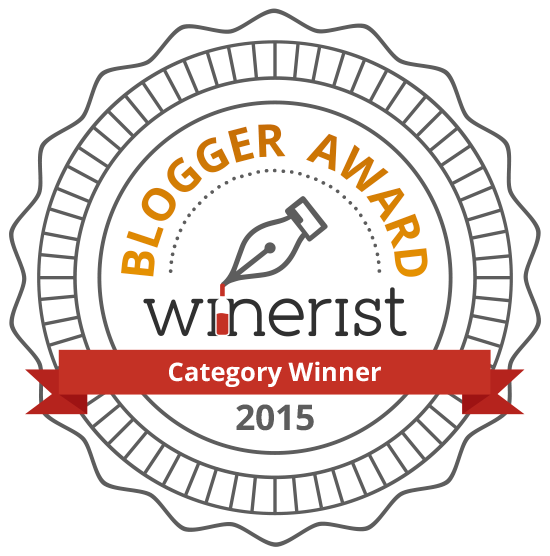 Order a bottle to check that out – that is worth the price of admission. 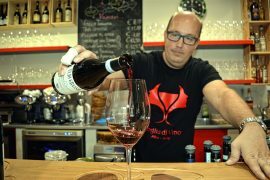 Alessio pairs apertivo (usually a glass of fizz – Champagne, Franciacorta, and a smattering of local sparkling wines are usually on offer) with sliced prosciutto on dark bread with nuts and fruit. 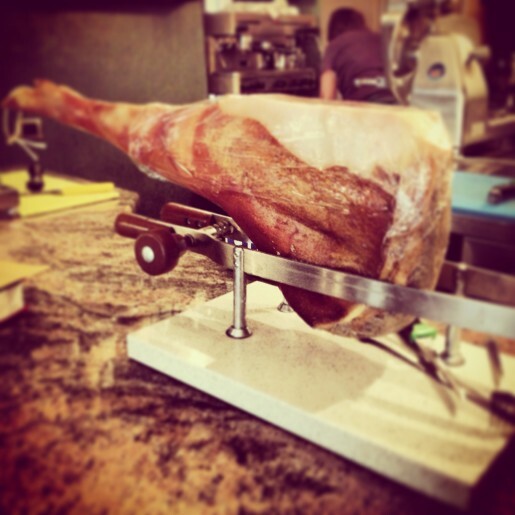 His meats and cheeses are incredible; the fresh sliced prosciutto melts in your mouth. 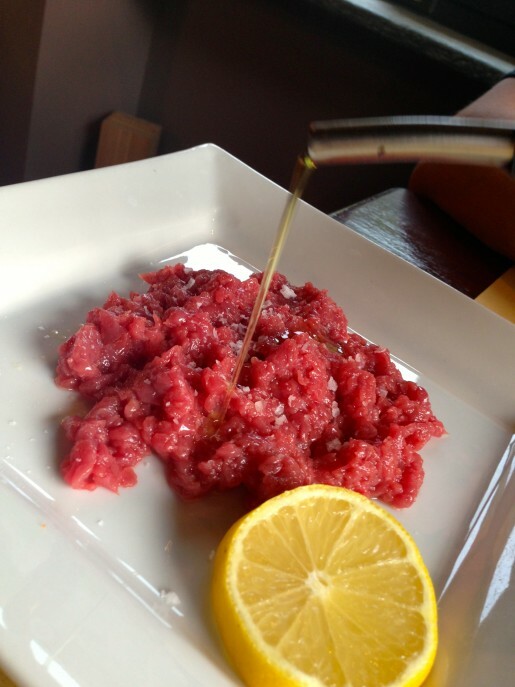 We started our meal with the Piemontese specialty carne cruda, raw ground veal with some olive oil, and salt. Yes, it’s raw meat. And, yes, it’s amazing. On my first trip to the region, I wrinkled my nose at first, too. But, now I’m a believer. 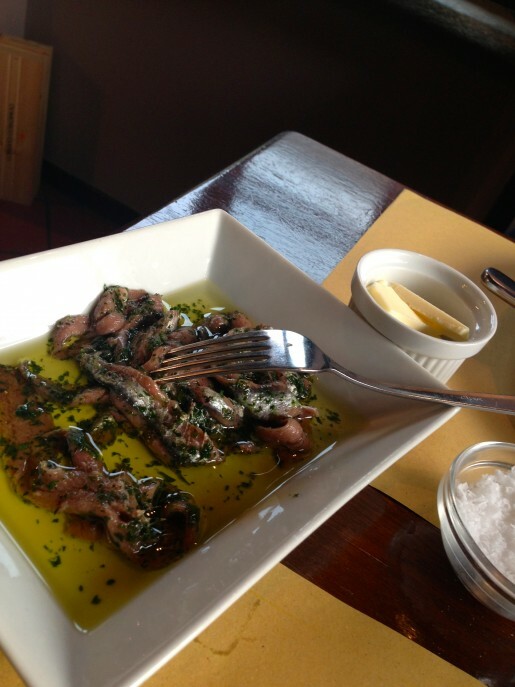 Next was a dish of fresh anchovies soaked in oil and lemon juice. 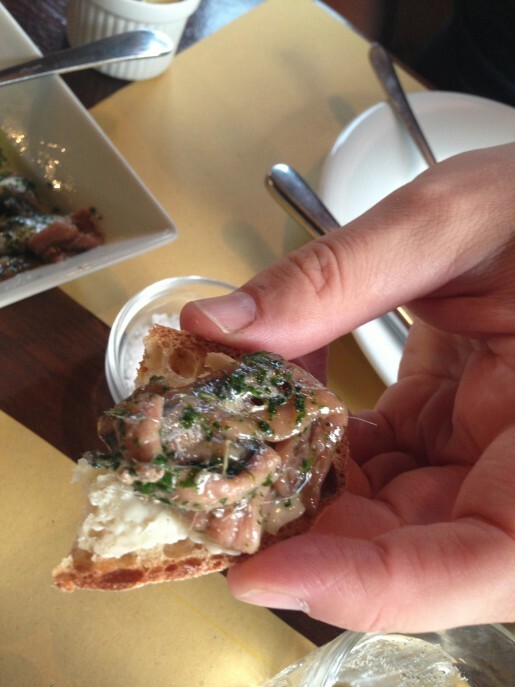 Stefania insisted we butter our bread and top it with anchovies. Amazing! 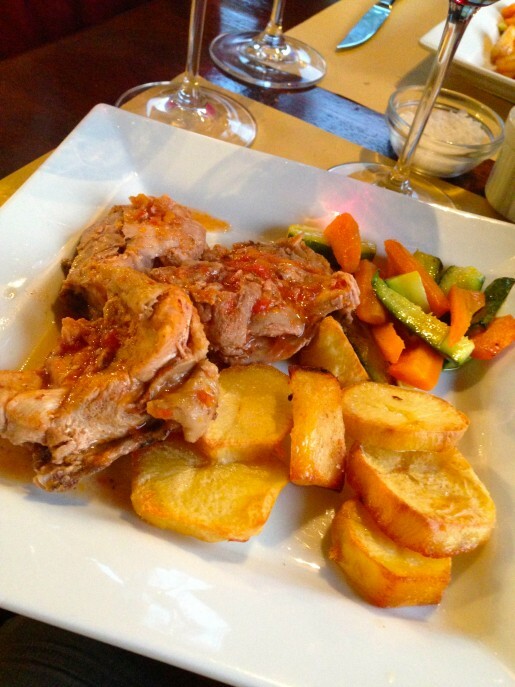 For our main courses, I had chicken with olive oil and peppers served with veggies and those amazing potatoes. Il Ragazzo had a veal steak sottofilletto. Everywhere we go Il Ragazzo endlessly studies the wine list. 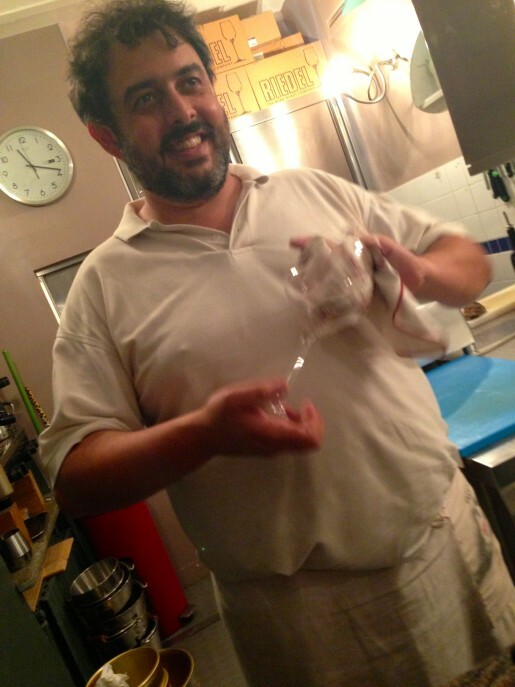 That night, he scoured and poured over it – and, it’s amazing and expansive at Centro Storico. 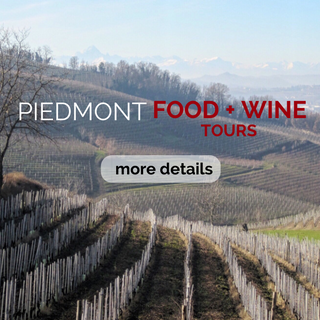 Alessio provides recommendations and also explains the region’s wines. Despite already ordering wines for our meals, Il Ragazzo decided we should splurge: a Barolo or Barbaresco with a little age. 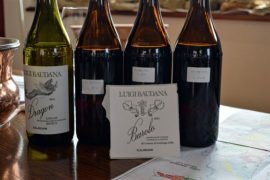 After careful consultation, Il Ragazzo and Alessio selected a 2004 Piero Busso Barbaresco – only 40 euros and a gorgeous wine! Don’t miss our other picks for top places to eat in the region! 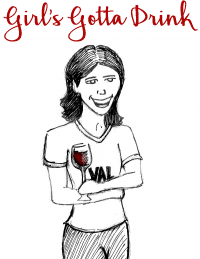 Where are your favorite wine country wine bars? Leave a comment below! 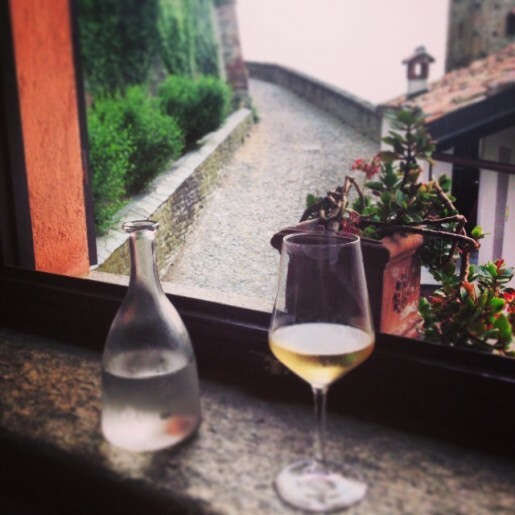 Next articleExploring Tuscany: Tour di Lucca! Congrats on making it one month! Grazie mille, Elaine! It’s been an adventure!